Once again, our favorite blogger over at LeFashion has put together a pretty amazing collection of our vintage prints. Using inspiration from fashion photography, she was quickly able to find what she needed in our 25 Million+ library! 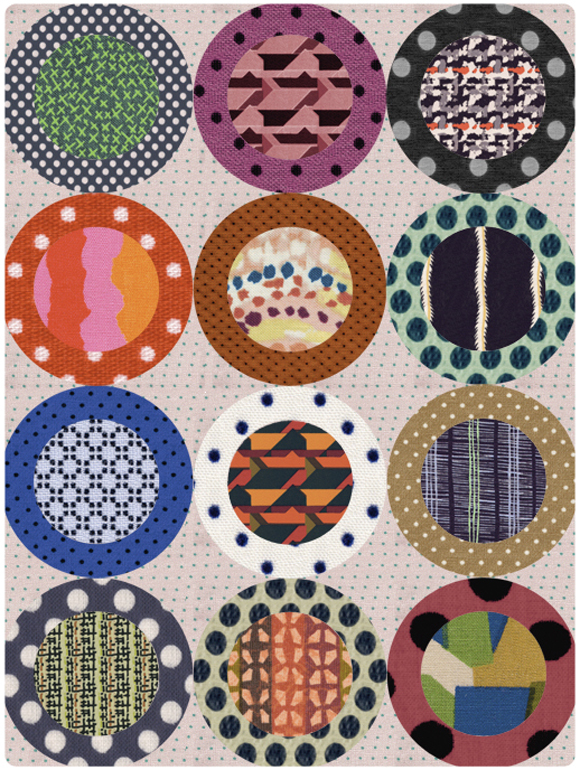 It’s Fashion Week, so it’s the perfect time to gather up some inspiration and then get busy finding prints on EzTextiles! Don’t forget to share your ideas now on Facebook, Twitter and Google+! Get started now finding your designs! Polka dots are everywhere! From large scale to dainty miniature sized, dots have gotten the star treatment on everything from rompers to dresses and separates for next season. The 1950’s was a major period for this pattern with pin-up styles advocating it, and icons such as Lucille Ball, Jackie-O, Marilyn Monroe, and Grace Kelly making it a fashion statement in everything from dresses to accessories! 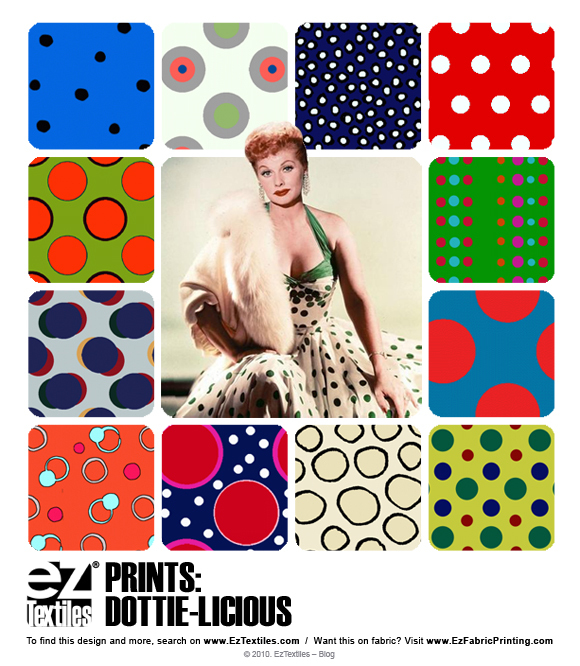 Modern day dots are straying away from its classic reputation by getting re-interpreted in pop colors! 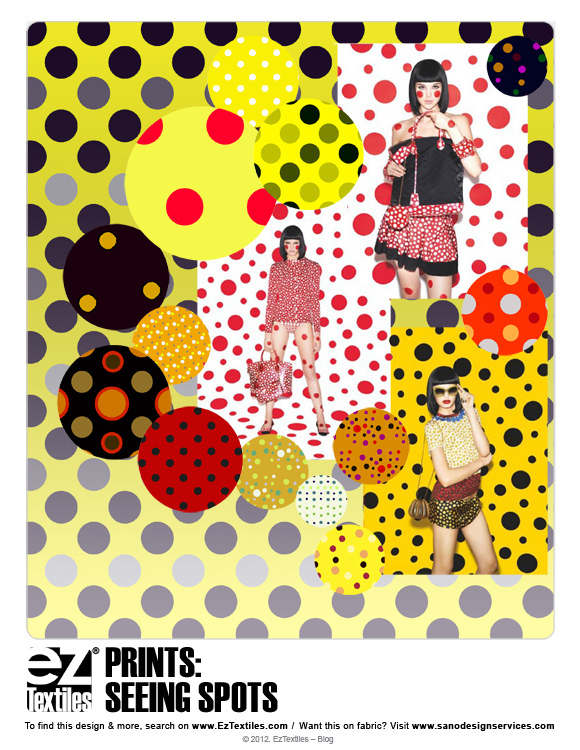 Click to see more of these trendy Dots! Stationery designers, this one is for you! We’re seeing prints pop-up in office and school atmospheres everywhere & we want to show how easy it is to design a whole coordinating line of paper products and hard goods! Like this collection? 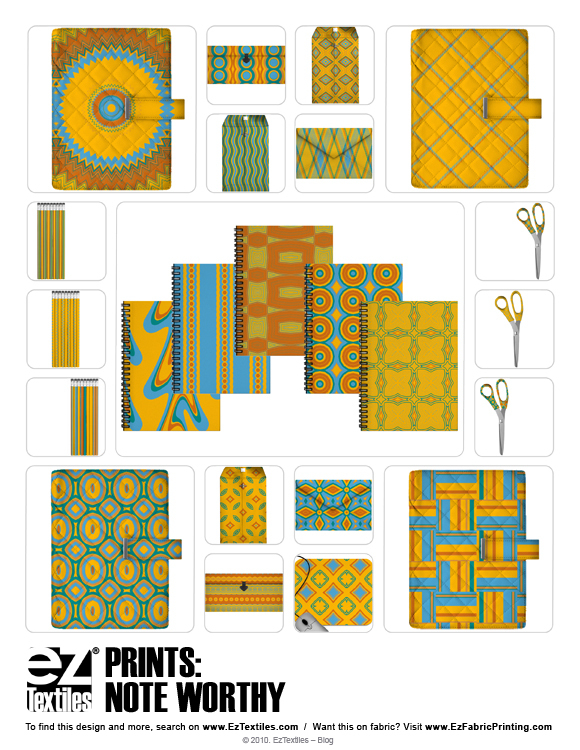 Download these patterns and more..
We love stepping outside and seeing prints! This lovely lady was spotted crossing the street in a colorful geometric pattern composed of circles and abstract florals! Hmm…we recall doing a similar board with geo patterns on this post just a few days ago! Who says geometrics have to be so rigid? We are loving the fluid circular motion better! 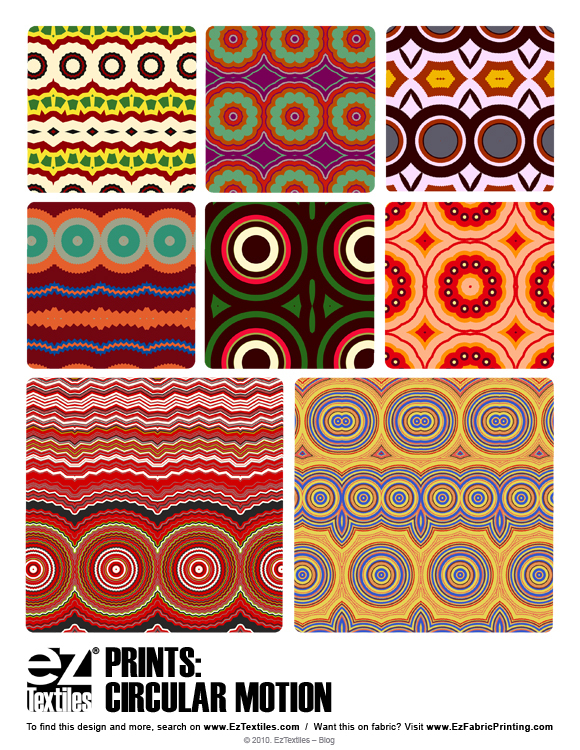 We put together a few great prints reminiscent to geo circle patterns!